A Family Wine Making Tradition in the Santa Clara Valley Since 1925. Guglielmo Winery – a fourth generation, family owned winery produces a wide variety of award-winning varietals from from around 50 acres of California estate vineyards, as well as from other premium wine-growing regions within California. Today, Guglielmo Winery (gool-yell-mo) produces around 40,000 plus cases annually under three different labels, Guglielmo Private Reserve, Tre, and our oldest label, Emile’s. Although the winery has grown, we still abide by the family philosophy to produce natural, quality wines to share with family and friends. The family continues to oversee every phase of the winemaking process. Today, third generation brothers George E., and Gene retain the family tradition of producing award-winning premium varietal wine from the now more than 50 acres of Santa Clara Valley estate vineyards, as well as wines from other premium wine growing regions within California. We are also proud members of the Wineries of Santa Clara Valley. 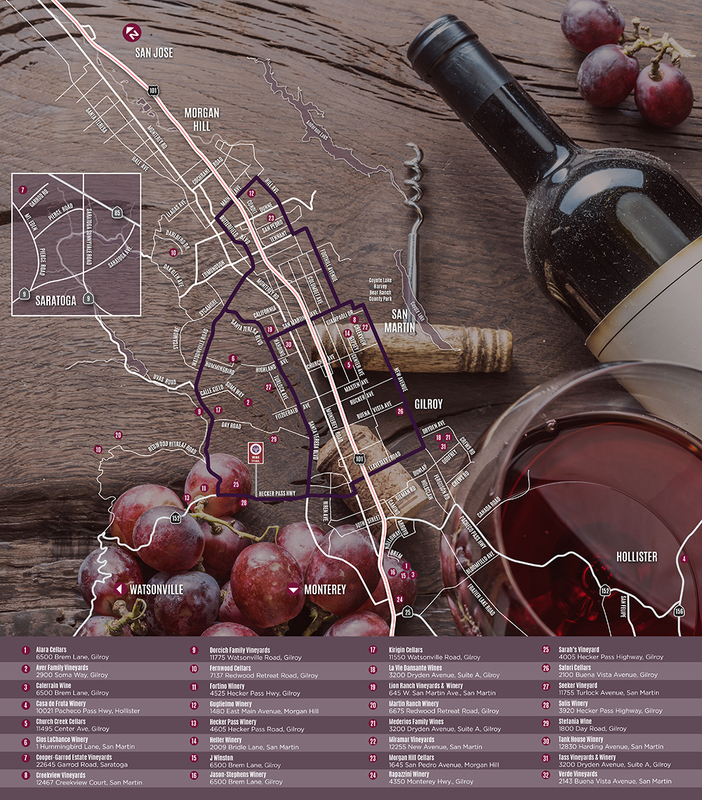 Click on the logo for a printable map of all of the members of the Wineries of Santa Clara Valley. 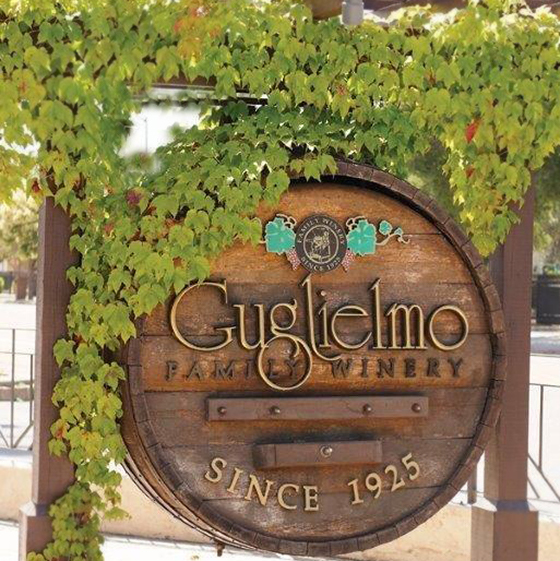 With its history and family legacy, the Emilio Guglielmo Winery’s mission is to produce wines of exceptional quality through superior facilities, provide memorable public and private events and have a continuing involvement in the wine community whether it be local, regional or national.